As a pedestrian, you are more vulnerable to severe personal injury when in the vicinity of motor vehicles. 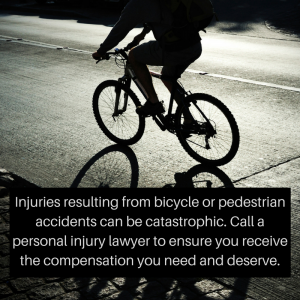 Whether you are walking, jogging, or riding your bike, if you are involved in a motor vehicle accident, the consequences can be devastating. Traumatic personal injury from these types of accidents can lead to high medical bills, long term disability, lost wages from time missed at work, and emotional turmoil. That’s why if you’ve been hit by a negligent driver you need the help of experienced pedestrian accident attorneys to make sure the responsible party is held liable and you get the compensation you deserve. Because of the ever-changing landscape of laws governing cars and accidents, it’s important to contact the skilled pedestrian accident attorneys at Findlay personal Injury Lawyers today at 905-522-9799 and schedule your free consultation. We proudly serve those who live in and near Hamilton, Brantford, Burlington, Stoney Creek, & Niagara Falls, Ontario. After an accident with a negligent driver, it is critical that you apply for accident benefits with your insurance company as soon as possible. Applying for these benefits is the easiest way to receive basic compensation for your injuries. But more importantly, you need to file for accident benefits if you also want to file a lawsuit against the driver who struck you. What if I get into an accident, but I don’t have insurance? 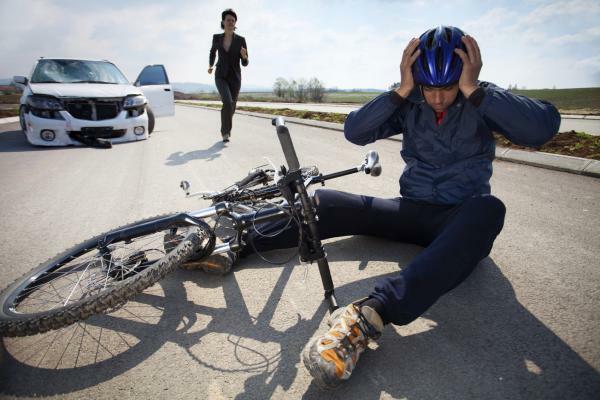 If you have been injured by a motor vehicle, you can collect accident benefits even if you don’t have insurance. If no one has insurance, you may be able to collect under the Motor Vehicle Accident Claims Fund. What kind of compensation can I receive? You may qualify for income replacement benefits equal to 70 percent of your gross income, up to a maximum of $400 a week. If you are not employed, you may be entitled to a non-earner benefit of up to $185, and if you are a caregiver you may receive up to $250, plus an additional $50 a week for the person you care for. When do I need to begin paperwork? Within seven days of the accident you must determine what insurance company should pay you, and provide notice to that accident benefits insurance company. If you wish to file a tort claim (sue the at-fault driver) you must do so within two years of your accident. Tort claims are paid by that person’s insurance company. More than 95 percent of these claims are settled before they go to court. At Findlay Personal Injury Lawyers, we give close personal attention to every case that comes through our doors and we put the full strength of our firm to help you receive the compensation you deserve. If you were hurt by a negligent driver, contact us at 905-522-9799 today to schedule your free consultation. We are proud to serve clients from Hamilton, Brantford, Burlington, Stoney Creek, and Niagara Falls, Ontario. Disclaimer: The information throughout this website is not intended to be taken as legal advice. The information provided by Findlay Personal Injury Lawyers is intended to provide general information regarding personal injury law, catastrophic injury cases, wrongful death claims, medical malpractice lawsuits, car accidents, truck accidents, motorcycle accidents, and more for residents of Hamilton, Burlington, Stoney Creek, Brantford, Niagara Falls, and nearby areas in Ontario. This website is not intended for viewing or usage by European Union citizens. If you are interested in learning more about our law firm, please contact us for a personal consultation.